Those of us who have been previously married can fully relate to what I’m about to say. Have you ever just looked at your spouse and honestly asked yourself what were you thinking when you married this person? Their little idiosyncrasies were so cute in the beginning, now you can’t tolerate the way they breathe. Even the way they chew their food; is like nails scratching on a blackboard. Well I have, and hindsight is always 20/20. But I realized the breakdown in most relationships usually stems from poor communication, incompatibility, and of course finances. That’s why it’s so important to be patient, know thyself, love thyself, and make sure you’re entering into a union based on love not convenience. But a movement is happening in “Black America” that will affect our future. White media won’t report on it, there will not be any PSA’s enlightening you to it, nor will any state funds be reallocated to support it. Yet it is happening alongside our marches in front of government buildings. It’s going on during the same time all of our Black media, television shows, and music industry are capitalizing on our ignorance and perpetuating the myth that all Black relationships reflect scenes from Love and Hip Hop, Housewives of Atlanta, or the latest ratchet video uploads to WorldStar Hip Hop and YouTube. But, fortunately for us, we can take solace in knowing that We are marrying each other. Yes ladies, there are educated, heterosexual, productive Black men who are marrying us. Just over this past year I personally have been to five weddings, including my own (smile). And these newly-created families only improve our community, and help the fight against annihilation. In a July 30, 2006 address delivered by Minister Farrakhan at Mosque Maryam in Chicago titled “Our Commitment to Strong Marriage Secures Our Nation,” he talked about the importance of family. “There is no success in building a nation without the building of family. There is no success in the building of family without the respect and honor for the institution of marriage. However, we are beset with divorce and the problem of infidelity. As a result of divorce and infidelity, hatred is building between mothers and fathers, which is causing children to suffer. We can talk about many things that are important in life, but nothing is more important or sacred than family and the cornerstone of family, which is marriage,” said the Minister. National Security refers to the protection of a nation from attack or other danger by holding adequate armed forces and guarding state secrets. 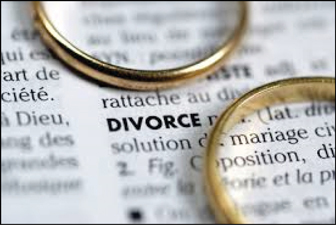 So as soldiers in the army of God, what can we do as a community to prevent divorce? We must have premarital counseling, study, know our roles as a spouse, develop a true friendship with the other person, and communicate effectively. And when we take those vows in front of friends, family, and most importantly Allah (God), we have to understand we are a part of a nation and we have to uphold its laws, values and security. May Allah bless us all to build strong marriages, and if we are contemplating divorce, try every avenue to save it if love and God are at the center. If we are single, may He bless us with the patience and knowledge to recognize when it’s our time, and not rush the process. And most of all, may He bless us with offspring that will be helpers in his cause with his Apostle.